May 8 , by Mardi Robyn. The designer of this bracelet describes it as “a twist on a square knot friendship bracelet.” I agree! 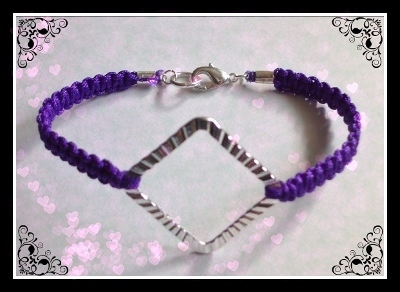 Siobhán Keogh does a wonderful job at giving clear photos and step-by-step instructions on making this Diamond Knotted Cord Bracelet. Check it out.